Amidst hugs, backslapping and friendly banter, old students of the department relived their memories of the days gone by. 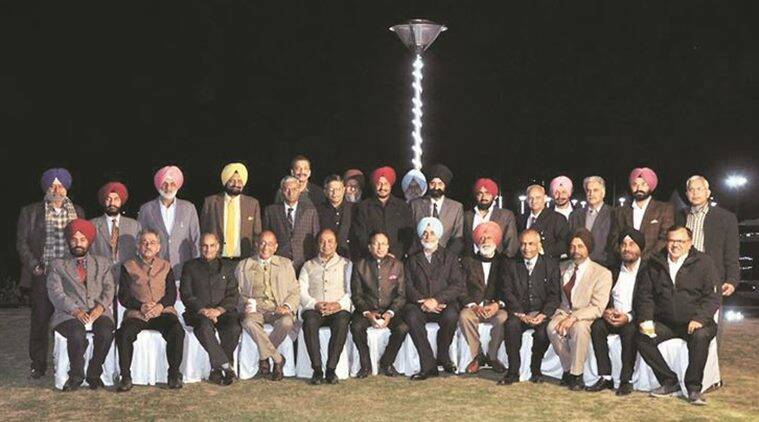 Reunion of the 1982 batch of Law Department at Panjab University. The class of 1982, Department of Laws, Panjab University, organised a reunion of their batchmates and contemporaries at the Lake Club Saturday night. Justice Mahesh Grover, Justice Rajan Gupta, Justice Rajiv Raina, Justice Amol Rattan Singh, retired DGP Suresh Arora, DGP Hardeep Singh Dhillon, were amongst those present on the occasion. Amidst hugs, backslapping and friendly banter, old students of the department relived their memories of the days gone by. Pardeep Bajwa, an alumnus, beamed, “We are feeling great. Though we keep meeting, every time is special for each of us. It’s like reliving the old times. These get-togethers let us feel like boys again. Those were the best days of our lives”.